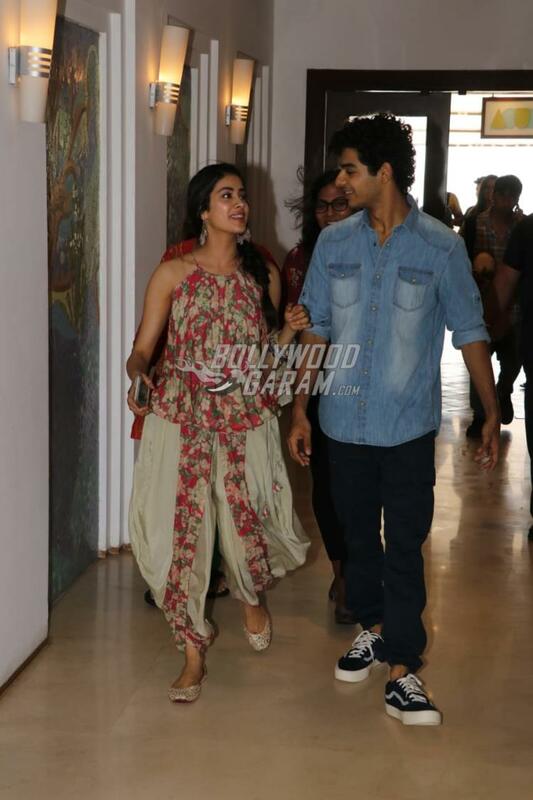 Janhvi Kapoor and Ishaan Khatter are unstoppable in terms of promotions of their upcoming film Dhadak. The actors were recently on a promotional spree for Dhadak in the city of Ahmedabad and are back to Mumbai. 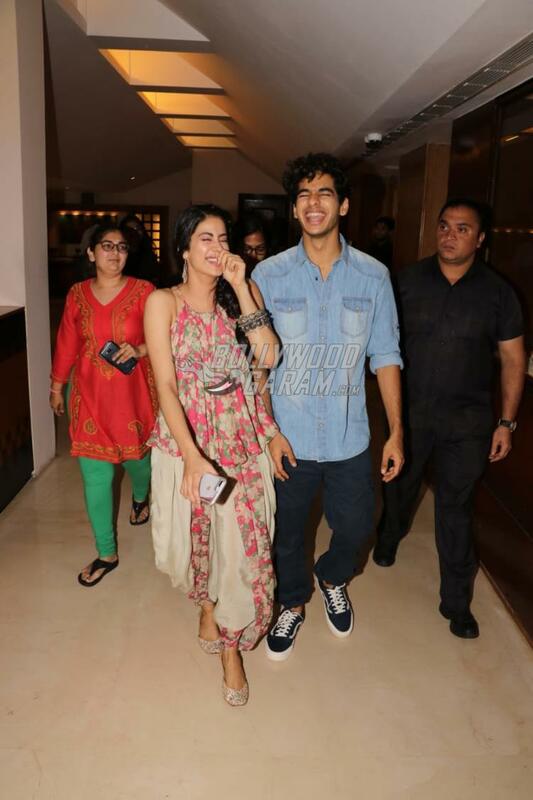 Janhvi and Ishaan were snapped at a plush hotel in Mumbai as they promoted Dhadak. 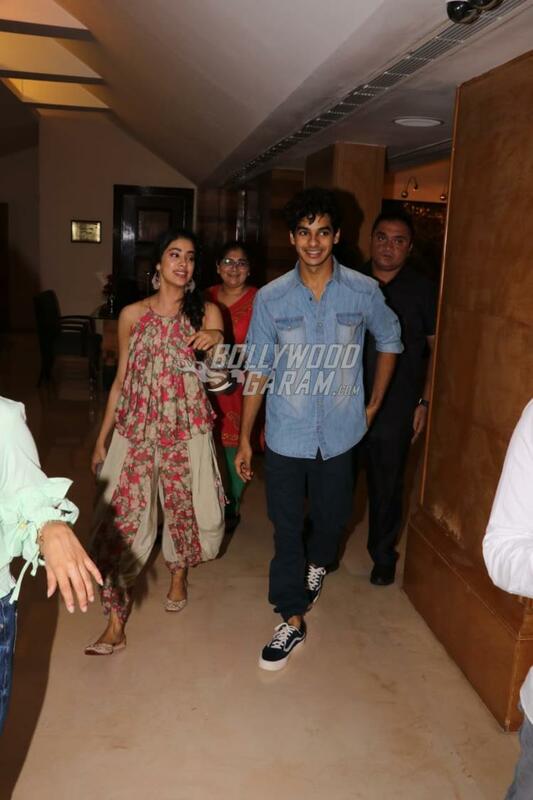 Boney Kapoor and late actress Sridevi’s daughter Janhvi was seen in an indo-western outfit and looked pretty while Ishaan was seen in a denim shirt and blue cargo pants. The on-screen couple were all chatty as they entered the venue and shared a great chemistry together. 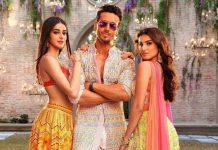 The makers of the film have intensified the promotional activities and the actors are trying their best to promote the flick on every possible platform. Dhadak is directed by Shashank Khaitan and produced by Karan Johar’s Dharma Productions. The film is the Hindi remake of the Marathi blockbuster flick Sairat which stars Rinku Rajguru and Akash Thosar in the lead roles. The much awaited film is ready to be released in theatres on July 20, 2018.